This article explains what is a cheap shared hosting provider. The hosting company divides a physical server into several “slots”, hosting more than one website at once. One hosting server is a hardware node that has several gigabytes of disk storage and many RAM memory. Each site has a disk space quota, with a specific web server configuration. The web server is shared, having several virtual hosts. Each customer has access to a control panel, where it manages its email accounts, site configurations, databases, and other configurations. One single server hardware can over 500 websites at the same time. Apache web server, the most popular HTTP server, is able to identify which domain the client requests. Then, it outputs the corresponding website according to its domain name. Cheap shared hosting companies will sell spaces in a professional hardware server. Copahost provides cheap web hosting services from €1,99 per month. The customers can use any PC as a web server and perform web hosting services. Professional hosting companies use Xeon CPU servers with more than 4 or 8 disks in RAID-10. Of course, there are cheap shared hosting servers as alternatives. In this article, we tested a dedicated server with MySQL and PHP in a raspberry pi. During the decade of 90, such plans used to cost over €50. The CPU’s were small, and a cheap shared hosting server of this time was able to host no more than 50 websites at once, on average. In 1998, Intel released its first Xeon processor. It was the Drake Pentium II Xeon. It had a huge improvement in the servers market, and a Xeon based server could then host somewhere near 100-150 websites. In 2006, Intel released the first Xeon Dual Core processor, the Xeon 5020. Since then, the server CPU’s are multiplying their code numbers. In the decade of 2010, most of the CPU’s will have 4 cores or more. Some have 8, 12 and 16 cores, being able to host more than 2000 websites at once. Today’s cheap shared hosting servers are way more powerful than dedicated servers on the ’90s. As per Moore’s law, every two years the CPU’s performance doubles. And this has been happening for decades. 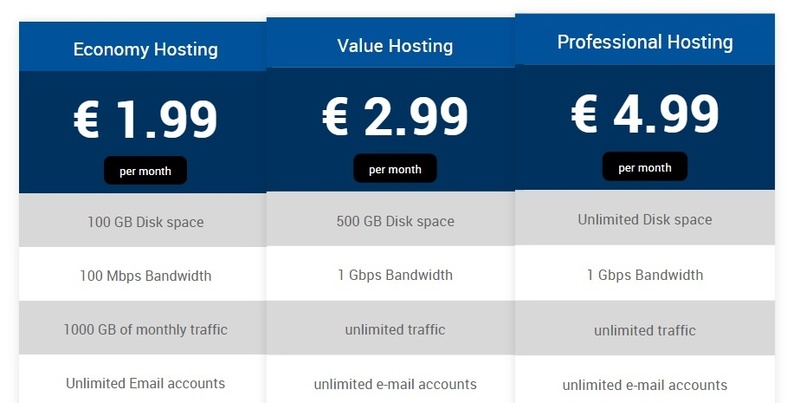 As a comparison, to have a certain performance with a shared hosting plan today, the customer can pay less than €2. Maybe in the year 2000, to have the same performance with a cheap dedicated server, you would have to spend more than €500.